Travelling to the Shape Offices for the last day of the New Voices course I found myself shocked and alarmed by a poster on the tube. It wasn't the picture. It was the title. I suddenly realised that as a disabled person I was now at risk of acquiring another label. 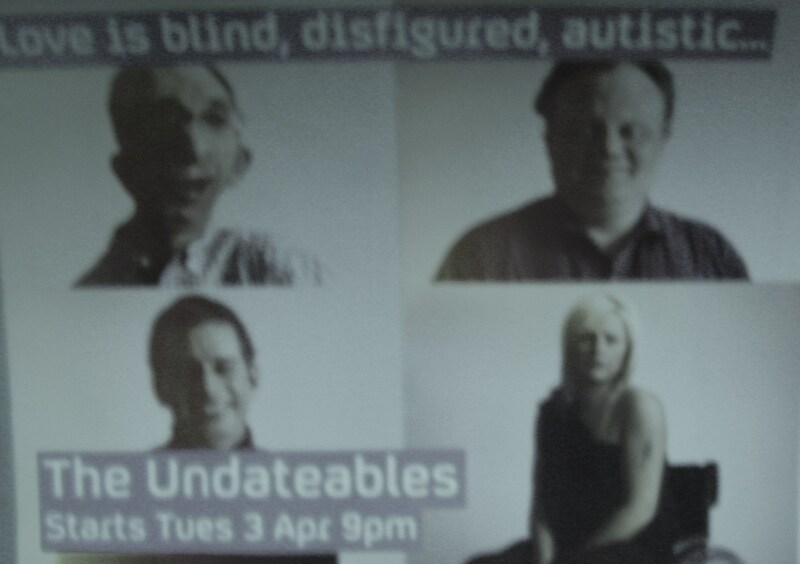 I was suddenly beiing asked to consider myself as one of The Undateables. Any search for love would be futile. Love for me had to be blind, disfigured and autistic. I could hear the word echoing around the playground, in the pubs and on the terraces. Should i feel grateful to Channel 4 for this? Having not watched programmes about disability for a long, long time I also felt strangely drawn to this. I also felt sick to my stomach. So, i took a photo. I forgot it for a while and then i decided to manipulate the image a little. Wonder how everyone feels about this.